In a serving bowl, dress the chicory leaves with a little of the dressing. 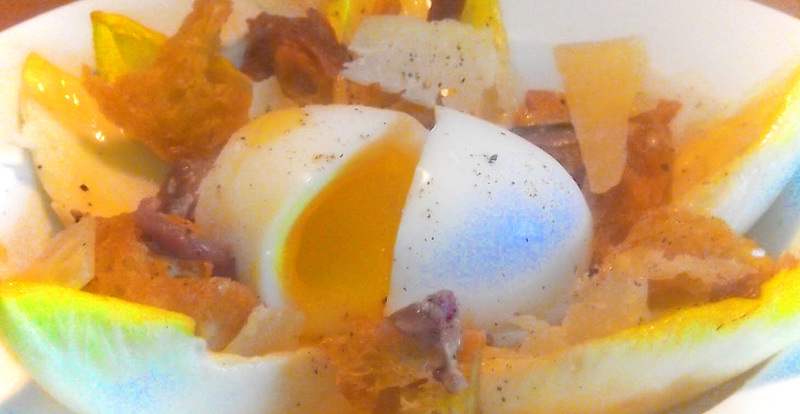 Put the egg in the centre and arrange the croutons and anchovy around the egg. Scatter over some pecorino shavings and lightly season.